After a long hiatus, I am working on this blog and intend to post more often! Here are a few of my quilting adventures from the past eight months. 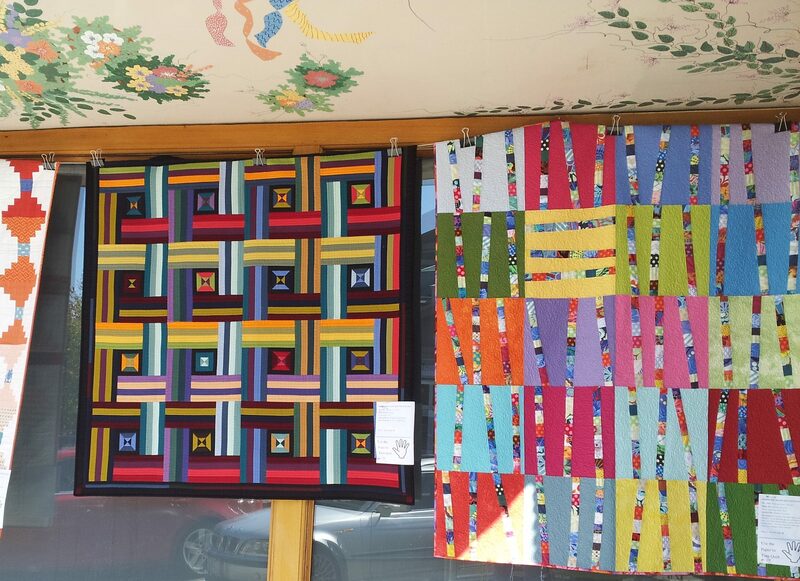 Last fall, the Bainbridge Island Modern Quilt Guild hosted their 3rd annual Bainbridge Quilt Festival. This is a one day, outdoor show, which takes place on the second Saturday in September in downtown Bainbridge. 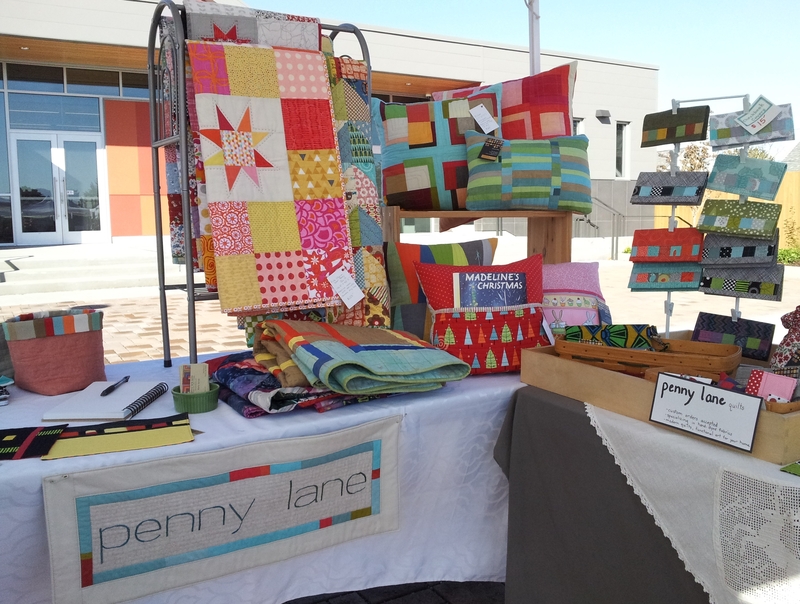 The festival is a celebration of quilts and quilters, and if you’re from our area consider joining us this year! In October, the North Olympic Fiber Arts Festival held their 10th annual exhibition and three of my quilts were on display. 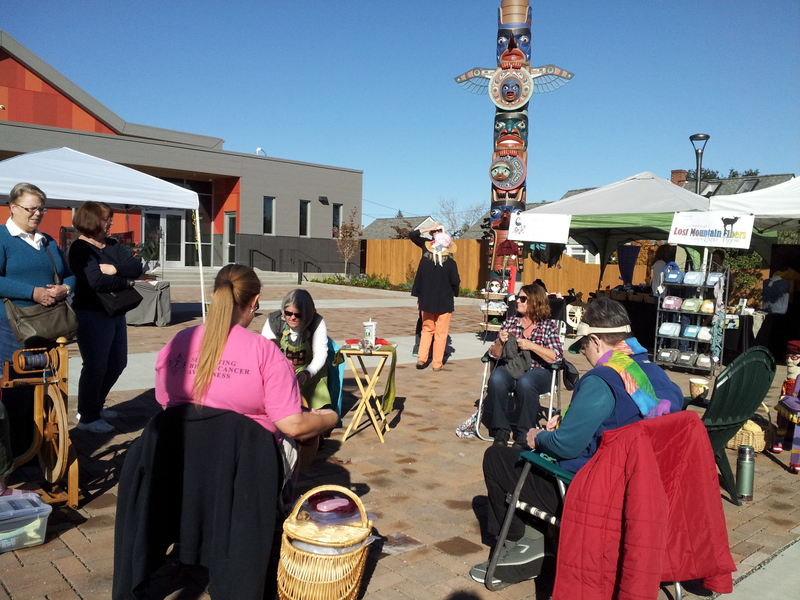 The festival includes a Fiber Extravaganza that celebrates the fiber arts with workshops, demonstrations and a fiber arts market in addition to the well-curated show at the Museum and Arts Center in Sequim. Our winter was spent camping in the desert in Arizona with our horses. Lots of horseback riding, reading, hiking and sightseeing filled our days. Sunny and dry, but not always warm! But with my trusty Featherweight and some hand stitching to occupy my time, I managed to complete a few projects. 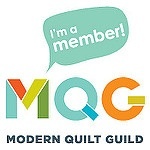 My membership in the Arizona Quilt Guild and the Vulture Peak Patchers allows me to participate in their events. This year that included a bus trip to the AQS QuiltWeek – Phoenix show, volunteering at the Desert Cabelleros Western Museum, participating in the guild’s show and attending an annual three day retreat called Sew Wickenburg. Now that we’re back home, I’ve been busy in the studio with lots of new projects in the works. Stay tuned for updates. I promise it won’t be eight months until my next post! Visiting from the New Quilt Bloggers group. Nice to have a read about what you have been up to. Looking forward to getting to know you better! Thanks for visiting! I’m looking forward to getting to know everyone, too, and learning from all of you. Hi Marla, I am enjoying your blog and getting to know more about you. Hi Marla! Horseback riding…so jealous. Fun to read about your quilting adventures! It was fun spending the winter in the desert where we could ride the horses and hike in a different location. Glad you’re back! I love you blog header, great design! Was it done with one of those watercolor apps? Looks like you have a great sewing setup while camping. I spy a saurgo? cactus, like the block I just purchased!